What do you say when you're offered the chance to host a field trip for tomorrow's most promising construction leaders? You say YES of course! 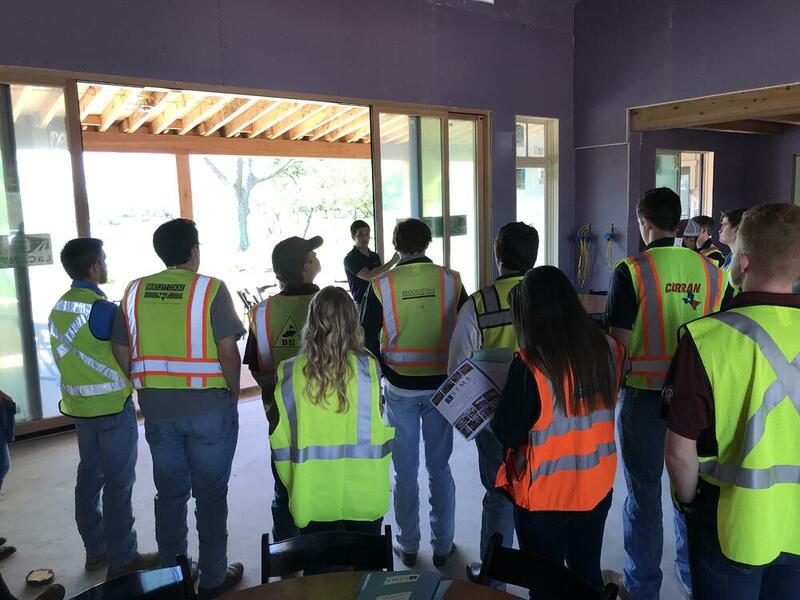 Last week, we had the pleasure of showing over two dozen students from Texas A&M's Department of Construction Science two of our current projects. It was a day filled with touring, answering questions, and sharing best practices about the most interesting (in our opinion!) 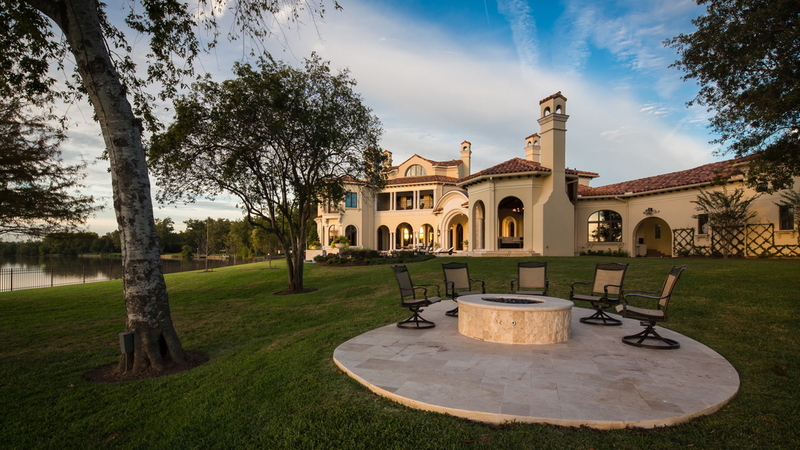 field of construction: high-quality and architecturally authentic luxury home building. 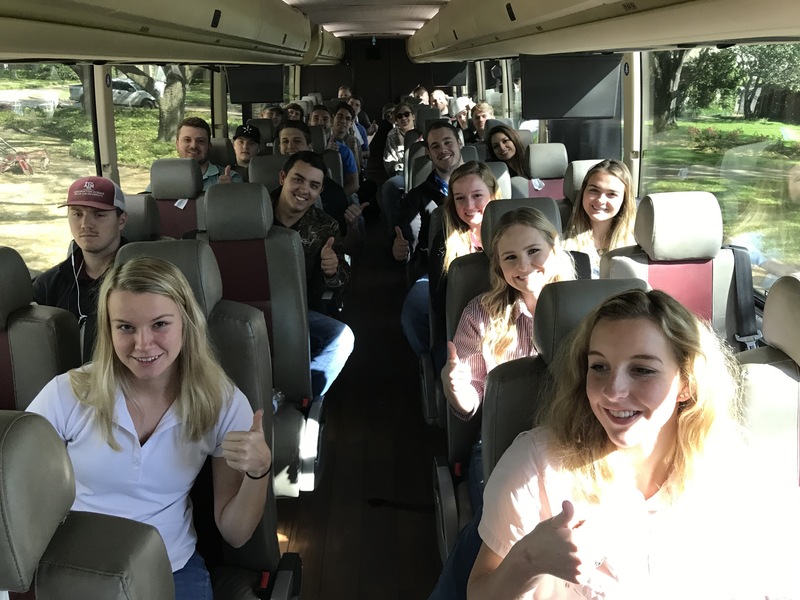 Each year, upper class students from the program choose from a handful of field trips to gain understanding and firsthand exposure to various aspects of the construction industry. 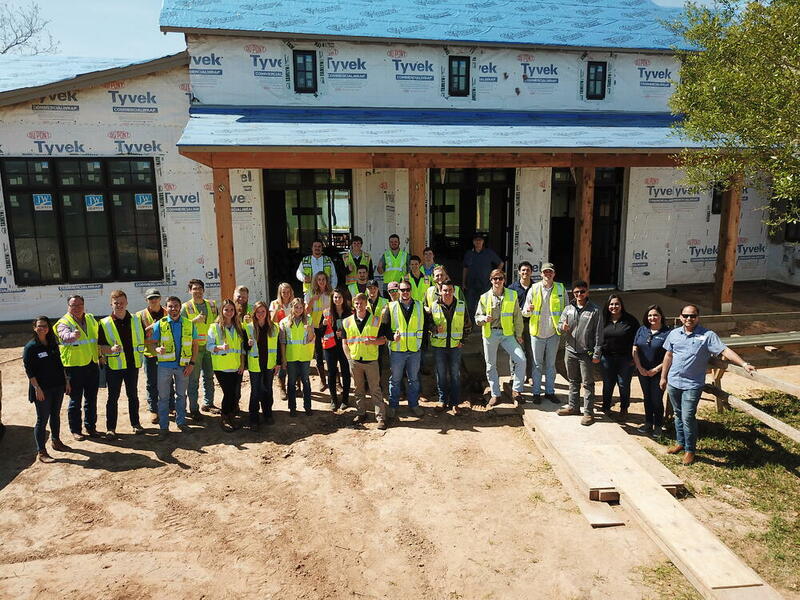 It's rare that the students get an opportunity to see high-end residential construction in action, so we were thrilled that our field trip option was one of the first to fill up. We tried hard not to disappoint! 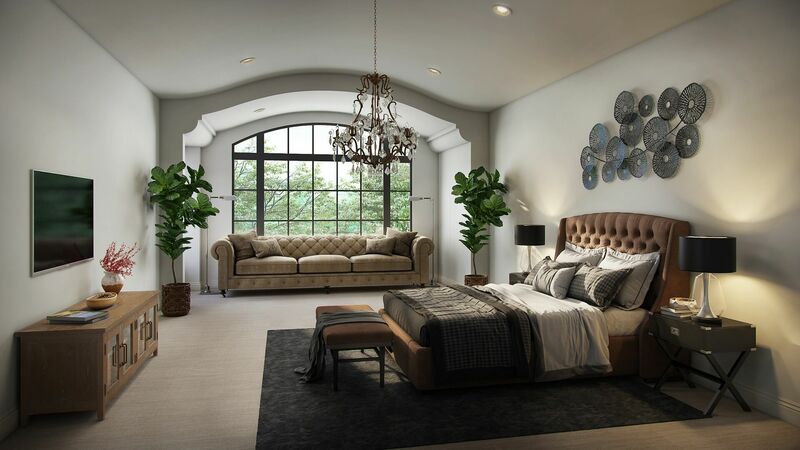 The HVAC system in this home incorporates anti-microbial ductwork and a dehumidifier to ensure the highest indoor air quality possible. We utilized ZIP System exterior sheathing and spray foam insulation to ensure a tight building envelope. The wall paneling in the library and dining room was installed with an air gap to mitigate thermal intrusion and prevent mold growth. 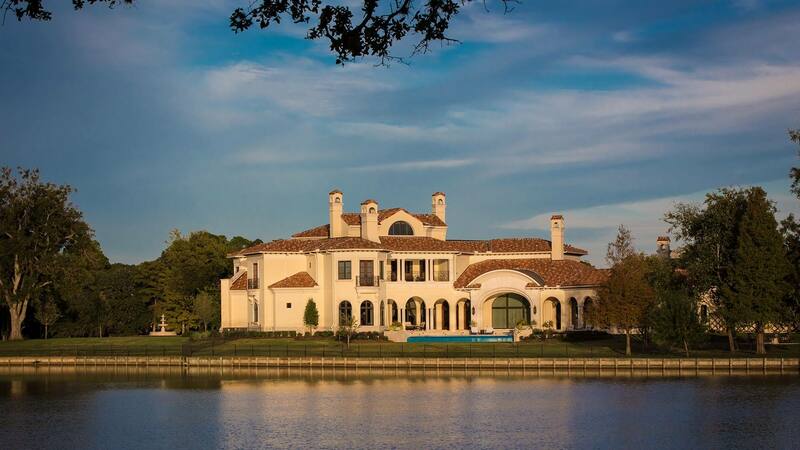 This home's structural foundation used 100 piers to accommodate Houston's expansive clay soil. 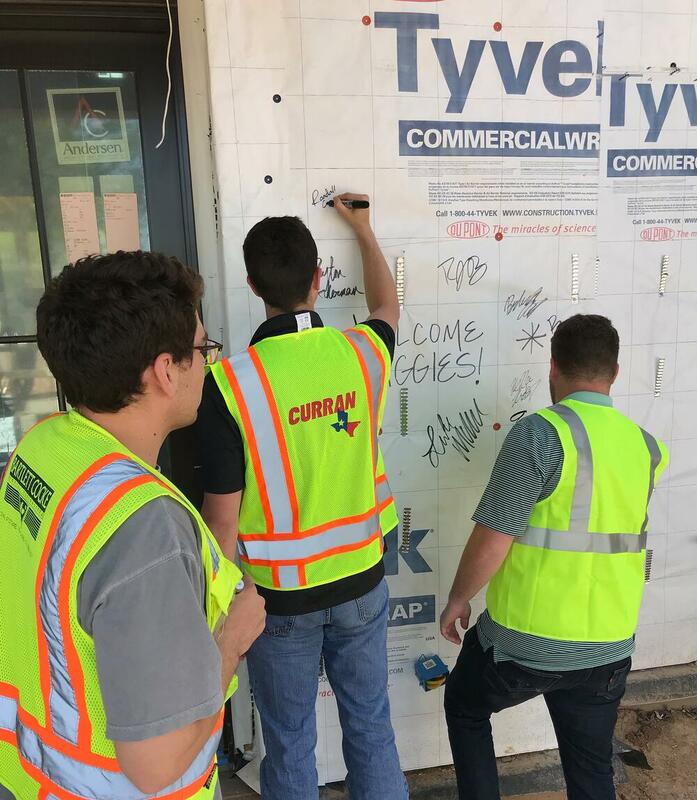 Before leaving our neck of the woods, the students enjoyed lunch with our team and then got to leave their permanent mark on the project by signing the TYVEK HomeWrap at the front of the house! A fun time was had by all. 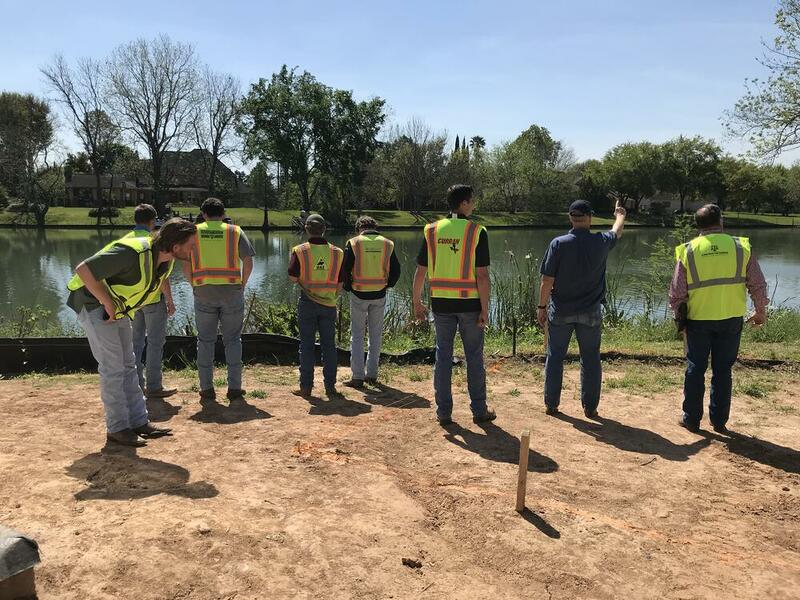 Throughout the years, we've had a number of team members join us from Texas A&M's Construction Science Department, so we know firsthand the quality of education and experience they provide to their students. 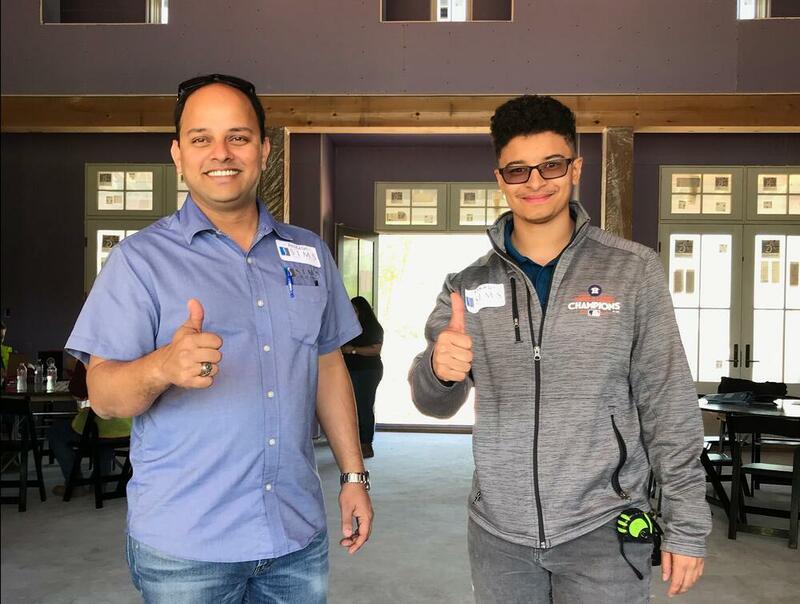 Currently, we've got two CoSci Aggies on our team: our project manager and lead estimator, Aneesh Bhalerao, who holds a masters degree from the program, and our intern, Mykal Amboree, who has tackled and elevated EVERY task he's been given so far this semester. 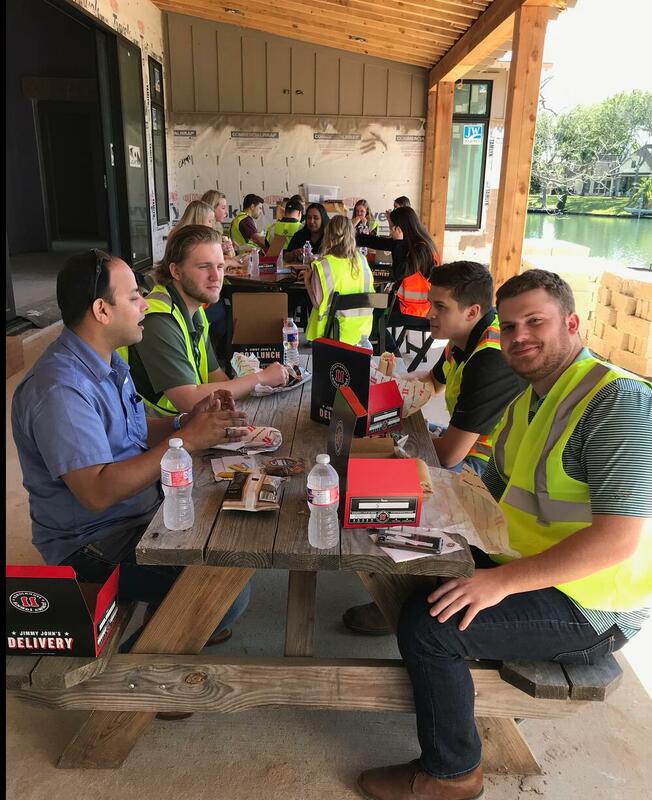 To say we are grateful to the Texas A&M Construction Science program is an understatement, so it's only right to give back and host a field trip for them any chance we get. A special thanks specifically to Professor Randy Birdwell who accompanied the students on the field trip and who works hard every day to prepare these young leaders. 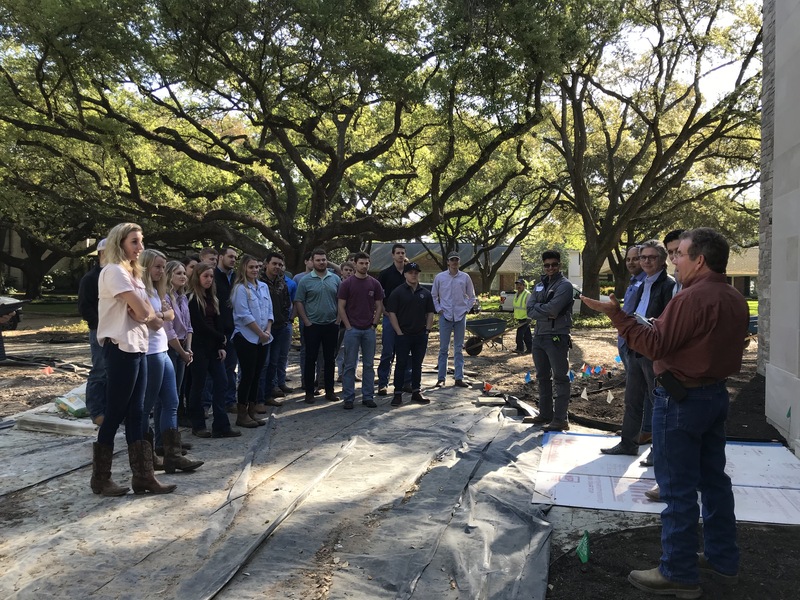 With these students as the next generation of leaders in our field, the future of high-end residential construction in Houston looks bright! 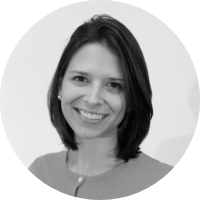 As a veteran team member of Sims Luxury Builders, Marie enjoys sharing what she’s learned with the world. If you have any questions about building or renovating your own custom home, give her a call today! Like what you're reading? Subscribe Now.